Daring 17th century doctors try their hand at blood transfusion. With fatal consequences. The mere sight of it is enough to make many people faint. Blood has long been thought to be the magical ingredient to life. It has been used in rituals, cures, and potions. It has been believed to contain the essence of our being – our very soul, itself. On average, five and a half liters of blood flow through our body. Lose two of them, and die. Blood transfusion has been a mainstay of medical practice over the course of the last century. Ever since the discovery of blood types in 1901, blood has been safely shared between people. The enormous need for blood donors that grew out of the industrialized warfare of the First World War led to the invention of blood banks. And now, a hundred years later, blood transfusion is amongst the most likely medical procedures that anyone will undergo at some point in their life: for anyone suffering major trauma, it is a life-saving procedure. The transfusion of blood is an idea that long predates modern medical science. It was not thought of as a remedy for stabbed soldiers bleeding to death on the battlefield. It was practiced by doctors who could not fathom the existence of blood types, DNA, red or white blood cells. Indeed, it was pioneered just after the discovery of blood circulation. In this episode we will explore these early pioneers of blood transfusion. Who were they? What drove them? And perhaps most importantly, what could they possibly hope to accomplish? In 1628, British physician William Harvey wrote history. In April of that year, he published his masterpiece De Motu Cordis, or An Anatomical Exercise on the Motion of the Heart and Blood in Living Beings. In it, he describes the results of years of painstaking experiments, measurements, and observations, and concludes that blood is pumped through the body by the heart. As intuitive as his discovery may sound to us, it was indeed very far removed from accepted medical science at the time. Before Harvey, blood was believed to be generated in the stomach, as a byproduct of the digestion of food. It would make its way through the body, constantly being warmed up by the heart. After reaching its boiling point, it would then evaporate and leave the body through the lungs. Breathing was the exhaling of fumes of vaporized blood. The human body as a steam engine, with the heart being the furnace, and the mouth as a steam whistle. Fortunately, William Harvey lived in an exciting time, one we now call the Scientific Revolution. Classic ideas about how the world worked were increasingly being turned on its head by experimental science. Ancient writers, such as the Greek philosopher Aristotle and the Roman physician Galen, had dominated medieval intellectual life for centuries. Their works were treated as gospel – literally. Just like the Bible contained all knowledge one could possibly need about morality, Galen was the only textbook one could ever need on medicine. And if the Reformation was an out-of-hand conflict about the Bible’s interpretation, medieval medical science was a continuing feud about interpreting Galen and Aristotle. If your patient died, you had simply misinterpreted Galen’s instructions. They could not possibly have been wrong. Now that the ancients were slowly but surely falling out of favor as experimental science proved them wrong, William Harvey’s words did not fall on deaf ears. In the decades following the publication of his book, Harvey’s work became the accepted theory on blood circulation. And by some, his work was not just read, but positively internalized. Richard Lower was a London-based physician who, like so many young aspiring scholars of his day, was determined to make a name for himself as a bold experimenter. Already a renowned surgeon, Lower was well-acquainted with the sight of blood. And he was not scrupulous to share that sight with others. 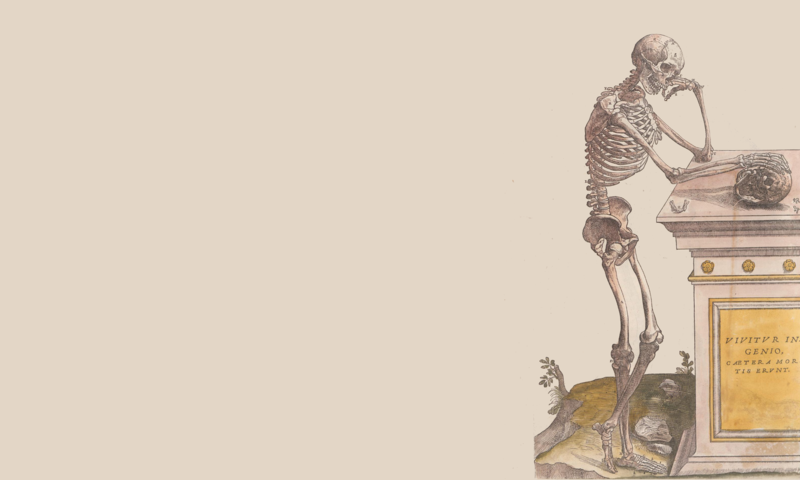 Like many medical practitioners of his time, he was keen to showcase his skill dissecting bodies and demonstrating nature’s mysterious workings. Before the eyes of undoubtedly aghast audiences, he would carefully lay bare tissue, veins, and bones, presenting an astonishing insight into Creation itself. Richard Lower usually dissected the bodies of executed criminals. But whenever the corpses of unfortunate crooks were in short supply, Lower was happy to have animals take their place. Legend has it that not even his own pets were safe: one of his dogs was apparently called Spleen, because Lower had separated the poor creature from its spleen. And so perhaps it was to no one’s surprise when, on a cold winter morning in February 1665, Richard Lower firmly strapped two baulking dogs to a table. He carefully exposed the carotid artery of the first, cut it open with his surgical precision, then immediately put in a quill to stop the blood from pouring out. He then turned his attention to the unwilling unlooker and performed the same operation, this time on the jugular vein. Lower then quickly strapped the two quills together, and watched as his contraption began to work. The blood of the first dog slowly but surely made its way out of its pulsating artery, through the system of quills, until it reached the other dog’s vein, where it promptly became one with the recipient’s circulation. Lower would later write an intricate account of his experiment to the Royal Society of London, describing every detail, from the tools he used to the positioning of the table. He does not seem to have registered exactly how long his ghastly procedure took, however. We can only imagine him distantly observing the constant stream of blood making its way through his tubular contraption. At some point, however, the donor dog began to howl, wither, fall into convulsions, and then fall silent. Lower removed his apparatus from the recipient’s veins, stitched up the dog’s wounds, and watched as it immediately leapt up from the table, escaping the room ‘as if nothing ailed him’. Richard Lower had performed the first successful blood transfusion in history. It would be the first of many. And he would not limit himself to animals. But before we get into that, let’s explore what blood meant to Richard Lower and his contemporaries. What did he think blood actually was? His views on that no doubt originated from the ancient Greeks. And, in contrast to blood circulation, their views on this topic would not be challenged for another two centuries. The ancient Greeks believed the body to work through an intricate balance of four bodily fluids, which they called humors. They differentiated between black bile, yellow bile, phlegm, and blood. These humors were a philosophical construct as much as a medical one. They did not just have physical properties, but were intimately connected to the Greeks’ belief of the four basic elements, the seasons, emotions, and life stages. Blood, for example, was thought to be warm and moist and was produced mostly in spring. Overly-excitable youngsters who had trouble controlling their passions in springtime clearly had an overabundance of blood. Black bile, in contrast, was believed to be cold and dry, and was produced in abundance during autumn. People who suffered from depression when the leaves began to fall must have an excess of black bile. So how would a physician practically use this theory of humorism in treating his patients? Well, a patient who suffered from depression due to an excess of cold black bile could be treated with regular warm baths. Similarly, blood was tied to warm, moist air; fever then obviously resulted from an excess of blood. The easiest solution to remedy that was a bloodletting. Bloodletting was one of the most prescribed treatments for any illness in medieval Europe. It was the easiest of the four humors to purge, and with many illnesses producing fevers, a likely cause of disease. Bloodletting could either be performed by cutting directly into a vein, or by applying leeches to the patient’s body. After sucking themselves full of blood, leeches would detach from the body, and were thus easily prescribed in daily doses. The practice of bloodletting continued well into the nineteenth century, by which time the demand for leeches grew so high, that leech farming became a profitable line of business. With bloodletting being at the forefront of everyday medical practice, it is easy to see why blood transfusion felt like a golden bullet. After all, instead of carefully adjusting some pour soul’s excess of boiling feverish blood, would not replacing his blood with that of a healthy person cure him right then and there? News traveled fast in seventeenth century Europe. Details of Richard Lower’s breakthrough experiment had been published in the Philosophical Transactions, which was read not just in London, but in Paris as well. There it fell into the hands of Jean-Baptiste Denis, a man who was in many ways the French counterpart to Richard Lower. A young physician himself, Denis too felt he was destined for glory. What better than a groundbreaking experiment would earn him respect with the conservative old guard of Parisian medicine? Wasting no time, Denis acquired some canine research subjects of his own and got to work replicating Lower’s experiments. He quickly mastered the skill of transfusion, and did one better: unlike Lower, he managed to keep both dogs alive by having the blood flow two ways. Eager for recognition, Denis immediately announced a public demonstration of a blood transfusion on the banks of the river Seine. And so, on a Saturday afternoon in 1667, Parisians curiously crowded around Jean-Baptiste Denis, who promised to ‘transform the blood of a young and healthy dog into the veins of an old and mangy one’. And so he did. Jean-Baptiste Denis’ star was unmistakingly on the rise. Back in England, the same could not be said for Richard Lower’s. He was in very real danger of having the credit for his invention being stolen by a French impersonator. Especially when the disturbing news reached him that Denis had apparently transfused a lamb’s blood into a man’s arm, he knew it was time to retake the crown. The Royal Society had voiced their concerns about the ethical implications of this new procedure; did Lower really know what he was doing, meddling with God’s Creation like this? This and similar objections had made further experimentation with blood transfusion difficult in England, and would come back to bite both Lower and Denis later. But for now Richard Lower would not let pesky moral qualms stand in the way of science. It was time for a blood transfusion into an Englishman’s veins. Denis had indeed transfused some blood from a lamb into the veins of a young man, who suffered from an unrelenting fever. The boy had survived, and had reportedly felt somewhat better the morning after, but details were sketchy. Outdoing the Frenchman with a more impressive achievement would not be thát difficult. Lower just needed a patient who could evidently be healed. And so he decided to cure a madman. Madmen in seventeenth century London were easy to find. Without proper psychological wards or social security, confused people desperate to do anything for a few coins were all over the city. Lower’s choice fell to Arthur Coga, an ideal candidate in more ways than one. For starters, Coga was only slightly strange, not completely out of his mind. He also came from a respectable family and was well-educated, enthusiastically, and oddly, speaking Latin whenever he could. That meant that his patient would be able to rationally convey his experiences to his doctor. And last but not least, Coga was a butcher, which meant that – just like Lower – he was well-accustomed to the sight of blood. And, as it turned out, not just to its sight. Arthur Coga was so curious during the whole proceeding, that he actually tasted the blood as it was dripping out of his veins. ‘It is of good relish’, he is reported to have remarked. During the procedure, Richard Lower transfused eleven ounces of blood from a lamb into Coga’s arm. Coga remained the ideal patient throughout, feeling so ‘well and merry’ afterwards, that he delighted his audience with Latin anecdotes. But had it worked? The next morning, Lower’s colleagues went to check on their patient and found him to be calm and well-composed. A much different sight from the extravagant freak whom they had operated on the day before. During a visit later that week, Coga was still ‘speaking very reasonably and very well’, reporting that he ‘felt like a new man’. Emboldened by this apparent success, Lower repeated the operation, replacing another 8 ounces of the man’s blood. Once again to great success. Or was it? Lower and his colleagues were already planning a third operation, but Coga suddenly baulked. Being no longer the well-composed rational man, Arthur Coga wrote a poignant letter in which he accused the physicians of having transformed him into a sheep. He was only interested in another experiment if Lower promised that he would be transformed completely, ‘without as well as within’; that is, if Lower could make him grow wool. This disheartening token of the man’s returned insanity was pregnantly signed, ‘Agnus Coga’, Coga the Sheep. Coga’s letter was obviously a return to form for a man suffering from delusional tendencies. But his fears about being transformed into a sheep were not as far-fetched to seventeenth century Europeans as they are to us. And much of the more intellectual criticism of blood transfusion revolved around these same fears. As we talked about earlier in this episode, the ancient concept of humorism was doctors’ main framework for diagnosis and treatment. It provided a holistic approach to disease, relating to nature’s building blocks earth, water, air, and fire. This fragmentation of nature into smaller interchangeable pieces had long ago sparked the idea of changing one element into another. Enter the alchemists. Alchemists in early modern Europe did exactly that. They tried transmutation with any material they could get their hands on; lead, mercury, even urine. These days they are mainly remembered for their fruitless pursuit of the Philosopher’s Stone: a formula that was rumored to turn base metal into gold. But in their own time, alchemists were nothing short of technological pioneers who were unraveling the threads of Creation. Now what if this transmutation that was so evident when creating quicksilver by heating cinnabar rock, was applied to the human body? Blood was closely tied to the element of air, after all, and was an organic building block in and of itself. Would changing a man’s blood with that of an animal not change his constitution? Would the animals’ properties not become his own? Would he not become innocent as a lamb, fat as a pig, or sick as a dog? These ideas were partly what drove the pioneers of blood transfusion when selecting animals in the first place. Richard Lower indeed hoped to transfer some of the lamb’s gentility into the extravagant Arthur Coga. But desecrating the ‘blood of the lamb’ like this did not sit well with his more conservative contemporaries. The Bible had clearly given man dominion over the animals. Man himself answered only to God. Creating all kinds of half-breeds or animal-man hybrids was seen as tinkering with this perfect natural hierarchy. Who knew where it could lead? Left unchecked, this kind of uncontrolled experimentation could lead to hordes of horned demons roaming the earth! Meanwhile in Paris, Jean-Baptiste Denis disregarded such criticism as superstitious nonsense. His own lamb-to-man experiments had seen great success so far. And with the British gaining on him, it was time to cure a madman of his own. His choice fell on a Parisian who enjoyed recognition as the village idiot, named Antoine Mauroy. Mauroy was definitely madder than Coga had been. Having once been a valet to the Marquise de Sévigné, he had lost his mind over being rejected by his lover. He had reportedly torn his uniform to pieces and run naked and screaming through the streets. He had even resorted to violence, threatening to kill his former noble employers, setting fire to their properties. Now, being of good standing, several benevolent nobles had tried to help Mauroy. Doctors had prescribed all sorts of treatments for his madness, including countless cold baths and bloodlettings from virtually every part of the unfortunate man’s body. Nothing had helped. Antoine Mauroy was mad as a hatter. And so he was a perfect candidate for Denis’ procedure. As he was unreasonably mad, Antoine Mauroy could not be asked to participate, like Coga had been. Instead, he was rounded up and found himself tied to a chair in Denis’ operating theatre. Indeed, Jean-Baptiste Denis too was determined not to let any moral qualms stand in his way. During the first proceeding, Mauroy reacted mildly. But after a second, Mauroy evidently was not as easy a patient as Coga had been. As the blood was being pumped into his vein, his face went red and he started to sweat all over his body. Afterwards, Mauroy was feverish, nauseous, suffered from diarrhea and nosebleeds. His urine was black as ‘chimney soot’. But, just like Coga, in the week following the operations he was generally well-composed and calm. And that was good enough for Jean-Baptiste Denis. Immediately, he sent out letters about his miraculous cure to all corners of Europe, including – of course – to England. To his great delight, his findings were published in the Philosophical Transactions. Finally he had received the same acclaim as Richard Lower. The story does not end on this happy note, however. Nor does it end well. Because just like Coga, a few weeks after being cured Mauroy’s violent tendencies returned with a vengeance. His distressed wife urged Denis to come to their home in the countryside and try and cure her husband one last time. Denis found Mauroy tied to the bed, struggling and cursing. His wife’s face bruised from the beatings. Next to the bed lay crude surgical instruments, and bowls that had been used for bloodletting. Denis hesitated. It was very far removed from an ideal situation for any surgical procedure, even by seventeenth century standards. He ultimately gave in, though. Using one of the farm’s calfs as a donor, the procedure did not take long. Before Denis had good and well started, Mauroy fell into a violent fit, every limb of his body trembling uncontrollably. Fearing for his patient’s life, Denis pulled out the quills and stitched his veins back up. It was too late. That same night, Antoine Mauroy died. And with him did blood transfusion. The idea had been frowned upon from the beginning because of its arrogant meddling with Creation itself. Even the usually adventurous Royal Society in London had voiced their concerns over the safety of the procedure. And now, with one patient dead and none of the others having been cured, they had all had enough. Blood transfusion was a bridge too far. France officially banned its practice. In England it fell out of favor. Both Richard Lower and Jean-Baptiste Denis seem to have been rudely awakened by Mauroy’s death. They tried their hand at less hazardous experimental pursuits, aimed at comprehending how blood circulates through the body. And so, the blood transfusion craze died down as quickly as it had begun, lasting only half a decade. It would be exactly hundred forty nine years before anyone would try his hand at it again. If you enjoyed this episode, keep an eye on my website for more to come: ahistoryof.science. If you want to learn more about early blood transfusion and its daring pioneers, I wholeheartedly recommend Holly Tucker’s Blood Work, which served as the main source for this episode. A link to her book is on the website, ahistoryof.science. Thank you for listening. Hopefully until a next history of science.